NIFTEM BTech Admission 2018 will be done on the basis of JEE Main 2018 Rank of the candidates. 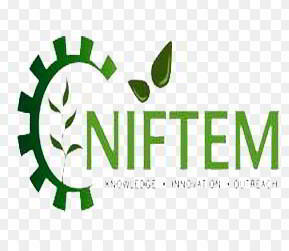 National Institute of Food Technology Entrepreneurship & Management (NIFTEM) is an apex institution under Ministry of Food Processing Industries (MoFPI), Government of India. The candidates seeking admission to B.Tech (in Food Technology and Management) course for the session of 2018-19 have to apply until 20 June 2018. Get complete NIFTEM BTech Admission 2018 related details on this page below. Admissions against the 180 seats in the campus will be done on the basis of the merit scored on All India Overall Rank obtained by candidates in JEE Mains. Latest Update - The officials have announced tentative dates of counselling for B.Tech provisional admission. Candidates can get all counselling dates on this page. Total Number of seats available in the Institute for B.Tech admissions in Food Technology and Management are -180 Seats. Candidates whose DOB falls after 1 October 1993 (+5 years extension to SC/ST Candidates) are eligible to apply. Candidates passing Class 12 or equivalent examinations in 2016, 2017 and 2018 are eligible to apply. Candidates must have passed their class 12th in the following combinations of subjects: Physics, Mathematics and any one of (Chemistry/Bio-Technology/Computer Science/Biology) and must have secured 50% aggregate in all subjects mentioned above. Candidate must have appeared in JEE Main (2018). The candidates who have got compartment in Class 12 exam in 2018 are not eligible for B.Tech even if they clear the supplementary before the counselling dates. NIFTEM Application process for application is online only. Candidates have to register themselves by following the link given below before the last date of the submission. Candidates can apply for the B.Tech admission in following four steps. Upload the scanned copy of the documents. Registration: Candidates have to create an account on the NIFTEM portal. Login ID and password will be generated. Candidates are advised to secure the passwords. While registrations candidates have to provide a valid Email ID and Contact Information. Filling of Application Form: Candidates are advised to fill in the application form carefully, and it is advised to read the eligibility criteria before filling up of the application form. Application number will be same as that of the Login Username provided to the candidates at the time of registration. Payment of NIFTEM Application Fee: After saving the correct information candidates have to pay the application fees of Rs 1000 (Rs 500 in the case of SC/ST) via Online payment (Debit/Credit Card/Net banking) or demand draft. Documents uploaded must be of the JPG, JPEG, PNG Format and must not be greater than 50 KB. Candidates who have paid the application fee Online: Candidates who have paid the application fee Online have to submit the application online only. After the successful payment, applicants are also advised to keep a printout of the completed application for future references. All the applicants have to pay the application fee at the time of the submission of their NIFTEM Application and also after they are selected the will have to pay the course fee for the BTech course. Candidates can check the required fee to be paid by the candidates from application till their final admission. Total Course fees paid by the candidate for the duration of Four Years of B.Tech in Food Technology and Management will be Rs 9,27,150 which has to be paid semester wise. Further Distribution of course fees is given below. NIFTEM Selection process will be done on the merit list which is to be based on the candidate's JEE (Main) score. Preference will be given to the student with the higher score. It is also advisable to attend the counselling process with all the entitled documents as the absence of any original documents may lead to the cancellation of the candidature. It is also to be noted that candidates failing to produce their category certificate at the time of the counselling process will be considered as "General Category Candidates". The final merit list of the candidates and the counselling schedule would be uploaded on the official website and also on this page whenever it is available to the candidates. Second and subsequent round of counselling will be held subject to availability of seats in the respective categories. Admission in BTech program will be strictly done on the basis of JEE (Main)-2018 rank obtained by the candidates. During the online counselling procedure, students have to pay admission fee via online mode of payment for provisional admission confirmation. Before the first round of counselling the candidates for should necessarily register themselves online and its mandatory for them to fill up the “Counselling consent “with category choice’. There is no exam conducted by the National Institute of Food Technology Entrepreneurship & Management (NIFTEM) for the admission to their BTech Course. However, the candidates will be shortlisted on the basis of their JEE Main Scores after the submission of NIFTEM BTech Application Form. Candidates have to follow the link given below to check the JEE Main Exam Pattern. Candidate can get the admission to the BTech Course at NIFTEM in the given below seats. The category wise seat matrix of the candidates and the scholarship related details have been given below.